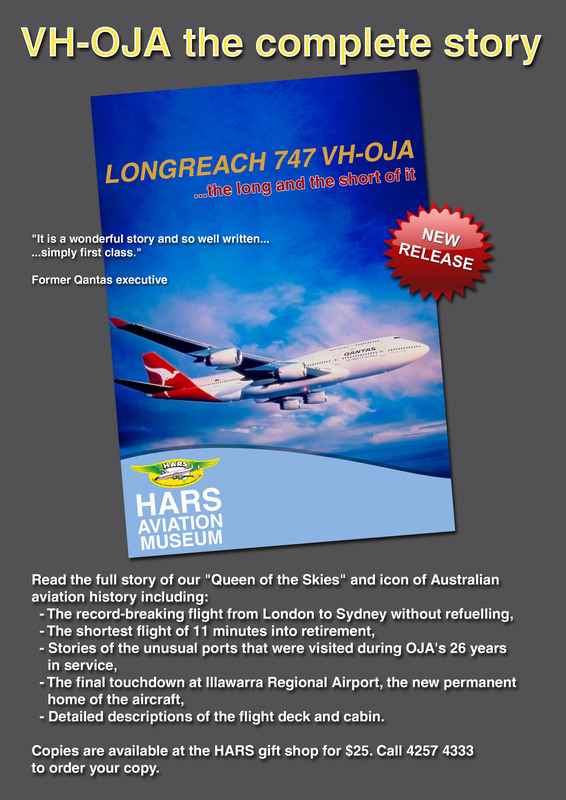 HARS now has available a book about QANTAS’ first Boeing 747-400. VH-OJA, or City of Canberra, is a significant piece of QANTAS’ history that still holds the record for the longest delivery flight of a commercial airliner. VH-OJA served for more than 25 years, and is now a featured attraction at the HARS Museum.The book looks at the development of the 747 and in particular the model 400. The focus then turns to VH-OJA, it’s delivery, it’s working life, and it’s retirement. The book also contains some interesting detail of the aircraft and some of the people who served on her.The book can be purchased from HARS for $25, see the enclosed advertisement.